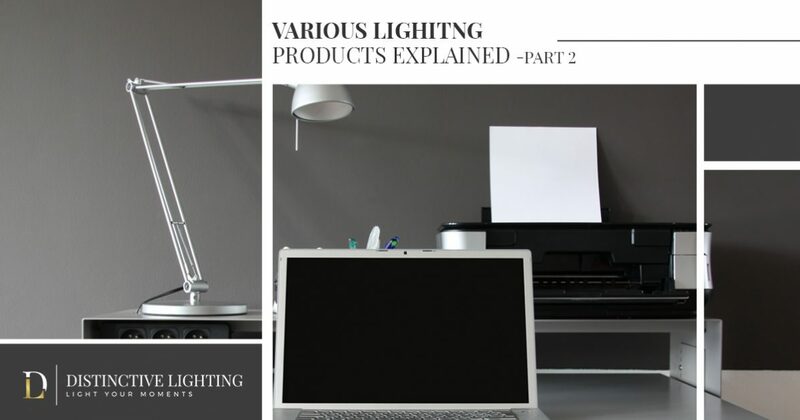 In part one of our two-part series, we spoke briefly on the countless different types of lighting products available to you. From elegant sconces and floor lamps to practical ceiling fans, there is never a shortage of lighting products for individuals to choose from. Ironically, there is a good chance that you have never updated your home’s light fixtures since moving in. That’s why, in part two of our multi-part series, we will be taking a look at four more lighting products that can completely transform the look and feel of your home. If you are located in Bozeman or the surrounding areas of Gallatin Valley and are looking for the most extensive lighting showroom in all of Montana, visit Distinctive Lighting today. Our team of lighting professionals are dedicated to helping you find the lighting products that you need to unify the look and feel of your home. From modern task lighting to rustic ambient light fixtures, Distinctive Lighting truly offers something for everyone. If you are considering renovating your home’s lighting, but would first like to learn more about some of the lighting products available to you, continue reading part two of our multi-part series below. If you are like the majority of individuals that spend their mornings preparing for work in their bathroom, you know just how important it is to have sufficient vanity lighting for completing everyday tasks. Vanity lighting is essential for shaving and putting on makeup, as it allows users to view the entirety of their face without having to worry about undesirable shadowing. In fact, it is a good idea to place your vanity lighting along both sides of your bathroom mirror. Placing vanity lighting above your mirror may cause overhead shadowing, making it much more difficult to produce an unbiased representation of your face. There are many other important factors to consider when installing vanity lighting, and our lighting experts at Distinctive Lighting are happy to help you during every step of the process. Certain lighting products are unique because they have a broad variety of uses depending on where they are placed in your home. For example, while a table lamp can be an excellent source of ambient lighting in a living area, it can also act as the perfect task lighting when placed on either side of your bed. With an endless amount of table lamp styles, colors, and shades to choose from, it is easier than ever to find the perfect table lamp or desk lamp for your needs. There is no better way to add an additional level of class and luxury to your home than by installing an overhead chandelier. Traditionally, chandeliers were most commonly seen in kitchens, entryways, and dining areas. However, in modern times, chandeliers are a much more versatile light fixture. In fact, many homeowners are now installing chandeliers above their bathtubs as a way to give their bathroom an upscale feel. From large and medium chandeliers to mini and crystal chandeliers, Distinctive Lighting carries the lighting products you need to give your home that sense of class it has been missing. If you are in need of a versatile light fixture that can be used in any area of your home, track lighting is perfect for your needs. While track light fixtures make an excellent source of task lighting when placed above breakfast bars, they can also be utilized as accent light sources. For example, if you are wanting to put one of your home’s paintings on full display, track lighting can be used to make your painting the focal point of your room. We hope that you enjoyed our two-part series on some of the many different lighting products you can expect to find while shopping for your home’s next light fixtures. If you are interested in viewing some of the latest lighting products currently available, visit Distinctive Lighting’s showroom in Bozeman today! We know that you will be pleased with our wide selection of lighting products, and can’t wait to help you find the best light fixtures to unify the look and feel of your home. If you have any additional questions, please reach out to our team of lighting professionals today at Distinctive Lighting! ©2017 Distinctive Lighting | All Rights Reserved.